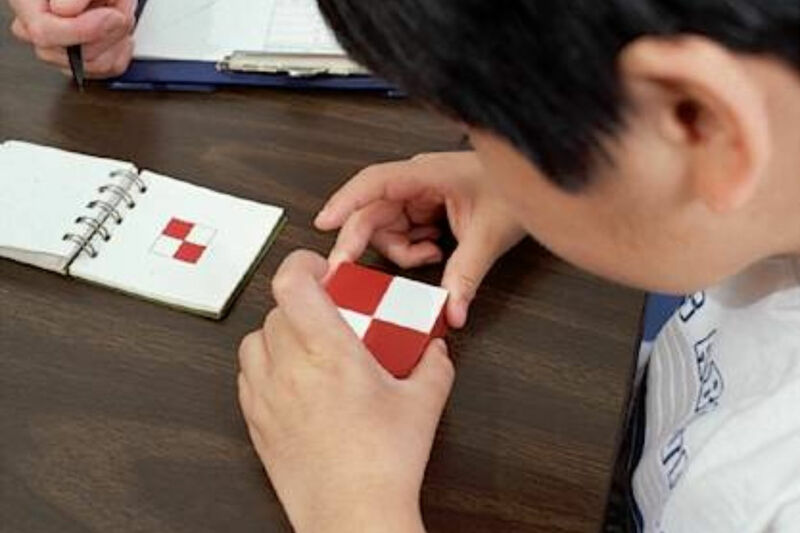 IQ tests are meant to determine specific cognitive strengths and weaknesses of a student. But, as Kaufman keeps pointing out throughout Ungifted: Intelligence Redefined, and as the inverse of an old saying goes, your greatest weakness can also be your greatest strength. For anyone who has lingering questions from their childhood, you just may find the answers to them in Scott Barry Kaufman’s latest book, “Ungifted: Intelligence Redefined.” Kaufman, an adjunct assistant professor of cognitive psychology at New York University, begins with a memory of being bullied in the boy’s school bathroom for having to repeat third grade. While this is not a tale about peer bullying, the book is born out of another form of bullying -- having someone else impose their view of you on you and not letting you be yourself. Through ninth grade, Kaufman was designated as a special education student despite his firm belief that he wasn't as mentally handicapped as IQ tests told him he was. 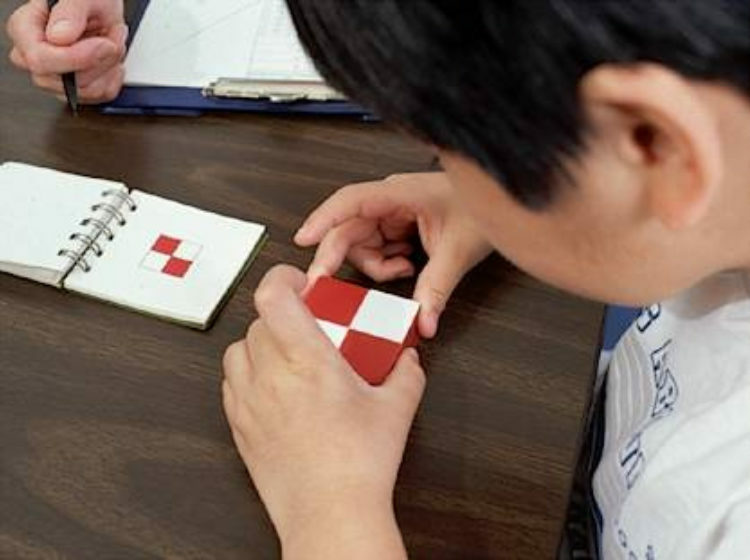 In their purest form, IQ tests are meant to determine specific cognitive strengths and weaknesses of a student. But, as Kaufman keeps pointing out throughout his book, and as the inverse of an old saying goes, your greatest weakness can also be your greatest strength. The desire to start testing intelligence began in France in the early 1900s and was a form of eugenics. The French government wanted to identify and weed out the mentally "retarded" from mainstream education. By 1905, Alfred Binet, the godfather of the modern day IQ test, had come up with an intelligence scale, which was revised multiple times in subsequent years, to determine whether or not a child had a certain amount of intellectual capacity at that present moment in time. The problem was that the tests were used to determine a child's future. In an "era … obsessed with abnormal behavior," as Kaufman writes, Binet, who was a self-taught individual, in part because he was a societal misfit, had come up with a test because he was "fascinated by individual differences" -- not because he thought some children had more potential than others. Like Binet, Kaufman is also interested in exploring the differences among people -- how they differ and why. Moreover, he wants people to be celebrated for their differences, not cast aside or falsely labeled simply because they don't fit neatly into one of society's more manageable categories. What Kaufman wants us to understand is that IQ, in the traditional way we think about it, doesn't paint a complete picture. For one, IQ tests don't measure absolute intelligence. Moreover, intelligence isn't fixed. Despite such key concepts, IQ tests are still used to predict future academic and professional success. It's not that Kaufman wants to get rid of intelligence testing so long as the tests are used correctly and combined with other methods of assessing an individual. What he advocates for is a more wholesome way to help a child reach their potential because the predictions made from current IQ tests, whether good or bad, can leave lingering effects on a child and make it hard for him or her to outgrow those expectations and grow into themselves. In America, IQ tests were also originally used for sterilization purposes in addition to figuring out how such a large and diverse population should be universally educated. While Kaufman acknowledges that IQ tests do show strong correlations in predicting income, education, and occupation levels, he emphasizes that their results aren't set in stone. With the right kind of intervention and help, any one is capable of achieving great things. Ultimately, Binet's IQ test was used for purposes he never intended and, unfortunately, we don't live in a society where we are able to educate our children with such an individualistic approach. That is where parenting, coaching, and mentoring comes in and why it is so essential for such figures to understand and support a child's individual needs -- and advocate for them. The problem is that we place too much emphasis on IQ tests and use them in ways that are not helpful. It can be incredibly limiting to make decisions based solely on the test, particularly the younger you are. Moreover, they can become dangerous tools when we allow them to set the course for the rest of our lives. Kaufman argues -- and proves -- there are many different kinds of intelligence, and there are many different ways of acquiring it. Traditional IQ tests don't measure these forms of intelligence. While other general and specific IQ tests have been developed over the years -- the more commonly known ones, disguised as various aptitude tests, are the PSAT, SAT, LSAT, GRE, ACT, etc -- intelligence testing is still flawed. The tests are all about trying to find a common denominator among people and the desire to group them according to certain similarities. But, in reality, we know that each individual is unique. Because there are so many internal and external pieces from which an individual is formed, it is possible to predict how s/he will ultimately turn out. What's missing from intelligence testing in determining a child’s needs and outcome are important factors like environment, emotional needs, mental makeup, and characteristic trait's like persistence, engagement, social ability, confidence, perseverance and motivation. Kaufman argues that the three key drivers to success in life are motivation, mindset, and self-regulation -- the ability to regulate one's own emotions. Moreover, just because a test shows a child may be destined for greatness in the sciences, that doesn't mean s/he will become a great scientist. The other key ingredient to success in life is love. In order to be good at something, you have to love what you are doing. Studies show that those who develop a love of learning, for instance, learn more and stay in school longer. The same goes for professions. If you love what you do, you have a greater chance at succeeding -- possibly even moreso than those who have an innate talent for it, but don't love it because you have the will and drive to keep working at it. While humans are capable of being successful at something they love doing, it doesn't mean that if you practice and persist long enough you will become the next Mozart or Shakespeare. Inherent ability (DNA) does factor into the equation, although it is not everything. But Kaufman doesn't want us to get too wrapped up in our genes. While he acknowledges the role they play, he is more concerned with the human ability to develop and change. We often think that just because something is inherited, we are unable to change it. That is not so. One example that proves major human overhaul is possible, which was given to me by another cognitive psychologist, is the example of the Dutch and their average height. 150 years ago the Dutch were the shortest people in Europe. Now, they are the tallest. How that exactly occurred is not known. This psychologist's guess is that it was probably a change in their diet. Either way, it was too short a period for the change to be a biological one, which means it was an environmental change. The example of the Dutch sounds a bit Darwinian, but being able to adapt to one’s own environment is part of a person's intelligence. This was also Binet's take on intelligence. His test was meant to determine a person's ability to understand and cope with their environment. Some people get lucky when it comes to the environment they are born into. Those who aren't in an environment that values their strengths or nurtures their true nature have a harder time fitting in and becoming successful, but that doesn't mean they are any less intelligent. It simply means they haven't yet found -- or created -- the right environment for themselves. Kaufman was able to find his, and with enough passion, persistence, and patience, he claims the rest of us should be able to do the same, whether we are gifted, ungifted, autistic, schizophrenic, a savant, or have some other redefined mental and/or emotional state. Kaufman acknowledges we will not all get there at the same time, but all of us do deserve the chance to be valued for our uniqueness. With enough support, encouragement, effort, understanding, determination, drive, internal guidance, and a plethora of other golden combinations, we have a fighting chance of becoming a successful version of our younger, (ungifted) self. Follow Your Passion, Or Follow Your Ability? Talent vs. Practice: Why Are We Still Debating This? Katharine Herrup is a freelance writer living in New York City. She has written for Newsweek, Reuters, GlobalPost, The New York Sun, and more. She is the former Opinion Editor of Reuters and The New York Sun.